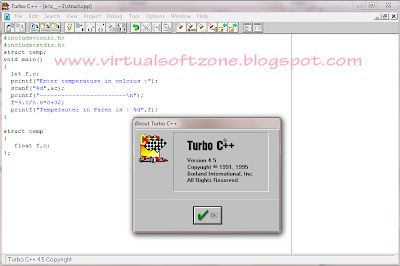 Turbo C + + is a C + + compiler with an integrated IDE that was developed by Borland, known because its speed in compilation and linking. 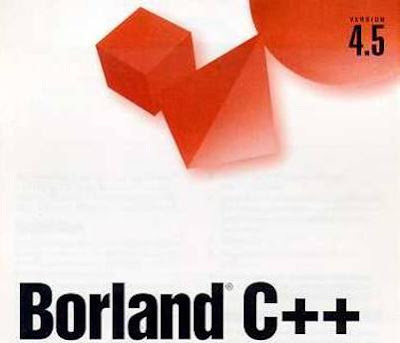 This product is part of the family Borland compilers that is very popular including Turbo Pascal, Turbo Basic, Turbo Prolog and Turbo C. Turbo C + + is a successor of Turbo C which is a further development with uniformity of procedure in the compiler as well as the manner contained in the Turbo Pascal 5.5 adding object functionality in Turbo Pascal versions previously. But unlike the Turbo Pascal, Turbo C + + always follow and maintain the standards that apply to C + + language. Compared with similar software in those days, Turbo C + + has some features compared to the others. Turbo C + + frees programmers from having to write complex programs, because based on object-oriented programming (OOP, Object Oriented Programming). This allows the program more quickly developed.